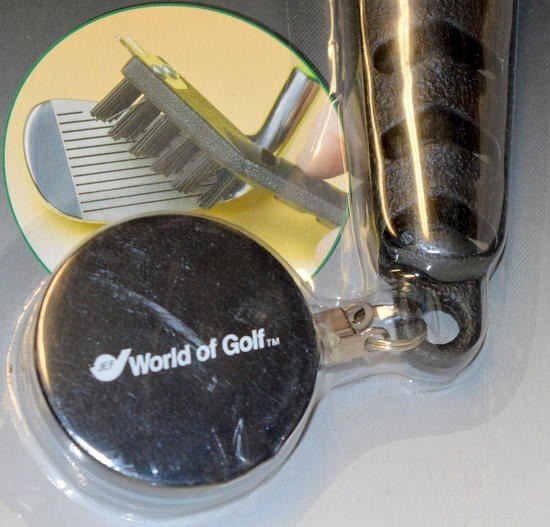 World of Golf, Deluxe Golf Brush. 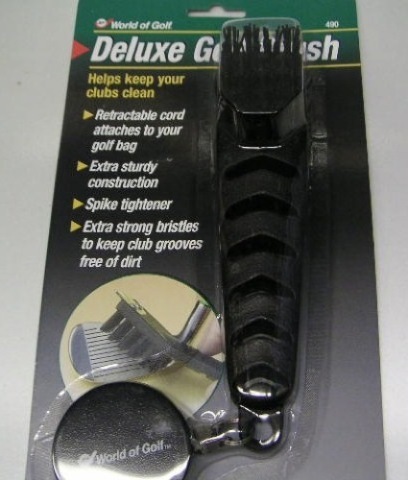 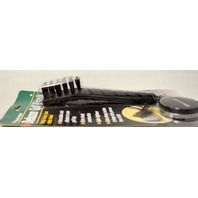 Keeps your clubs clean - Retractable cord attaches to your golf bag - Extra Sturdy Construction - Spike tightener - Extra strong bristles to keep club grooves free of dirt. 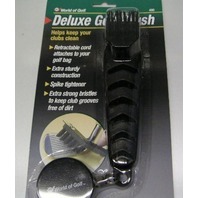 Nice to have and nice to give for a gift.